This impressive restaurant built across from Klyde Warren Park features seasonally inspired food with a lot of care. 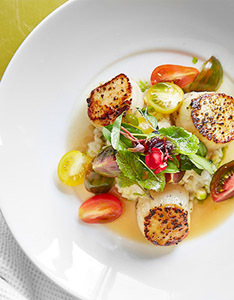 We love the perfectly seared scallops served with green peas and saffron sauce. Lovely dining room with a marvelous view of downtown.